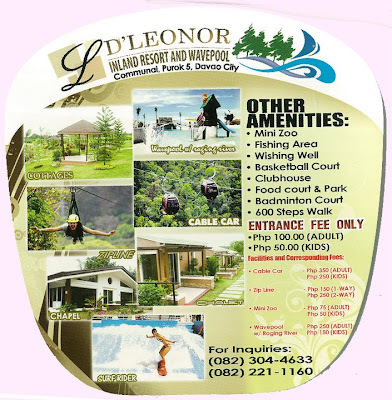 D' Leonor Hotel Inland Resort is a sprawling 26 hectare inland resort and adventure park nestled on a mountainous terrain in Cabantian, Davao City. 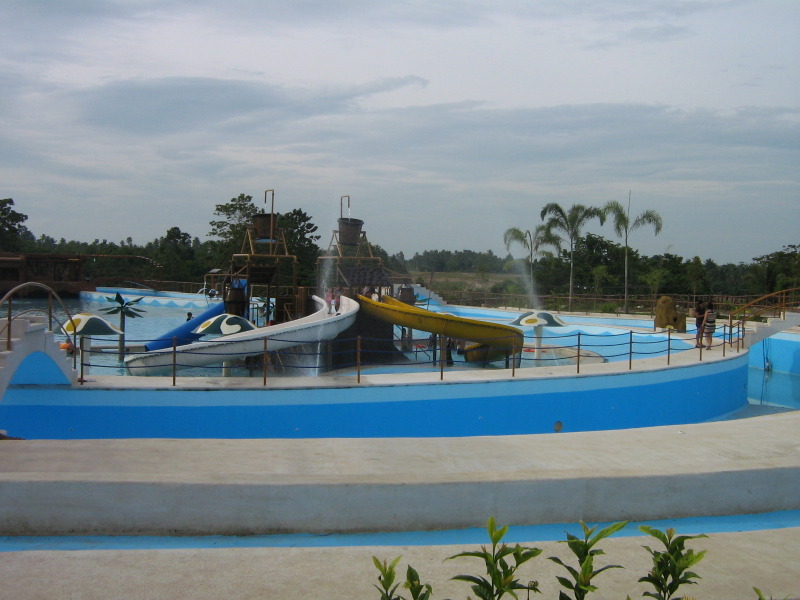 It is regarded as the biggest inland resort and one of the newest attractions to the ever growing number of adventure parks in Davao City. It features a surf rider, a mini zoo, a fish pond, a zipline, a hanging bridge, a cable car, and, of course, their pride - the wavepool and the raging river. 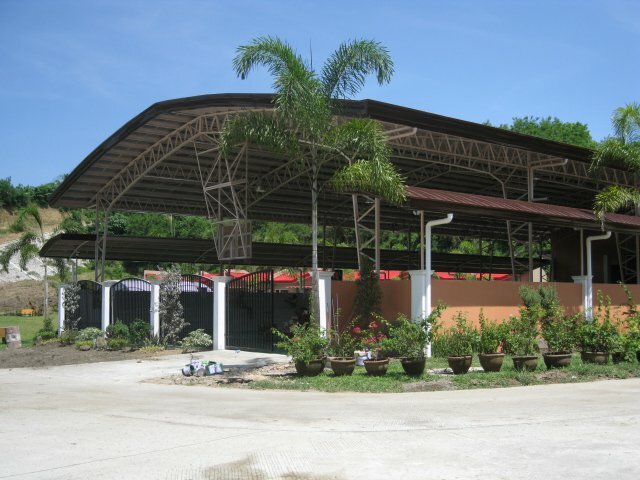 It also has tennis and basketball courts, an air conditioned chapel, commercial buildings, restaurants, a picnic area, and a clubhouse. For overnight stay, the resort has a hotel and cottages. 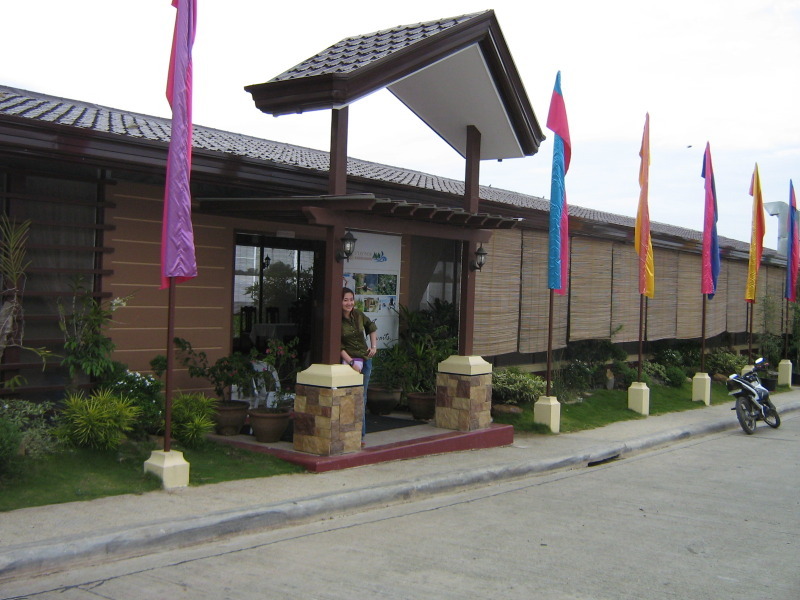 The Resort had its soft opening in May 14, 2011 which was attended by the owner, Leonora Lim, Davao City Councilor Al Ryan Alejandre, actor Marvin Agustin and several invited guests, including those from the media. 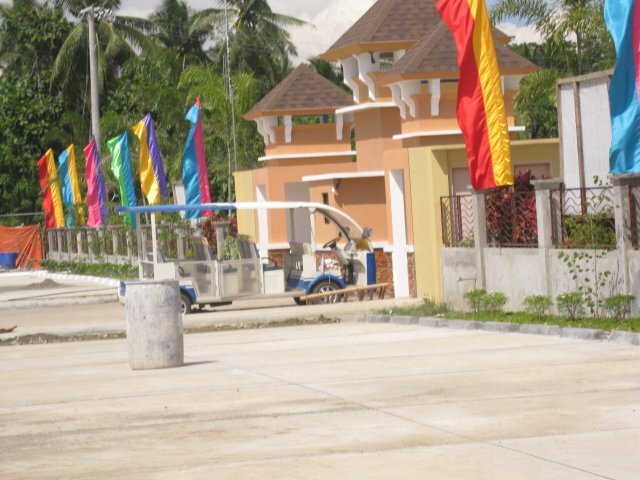 A minimal entrance fee to the Resort includes a free shuttle ride around the resort. The Zipline soars above ground and is 460 meters long, giving its riders an excellent view of the surrounding trees and green scenery below. 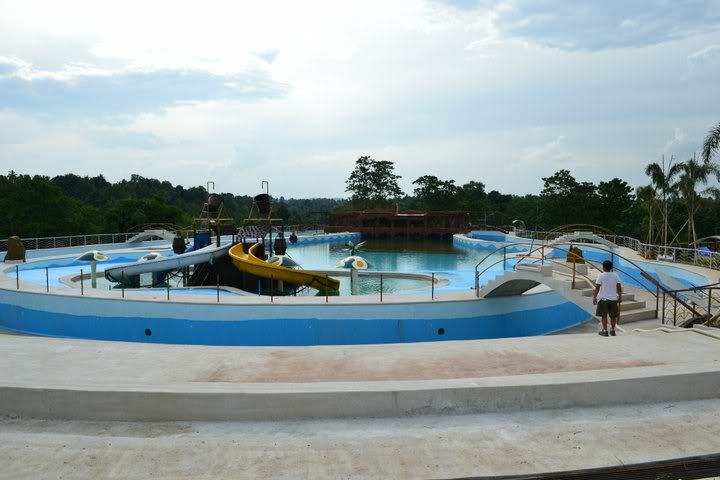 The Wave Pool with Raging River is the pride of the Resort. 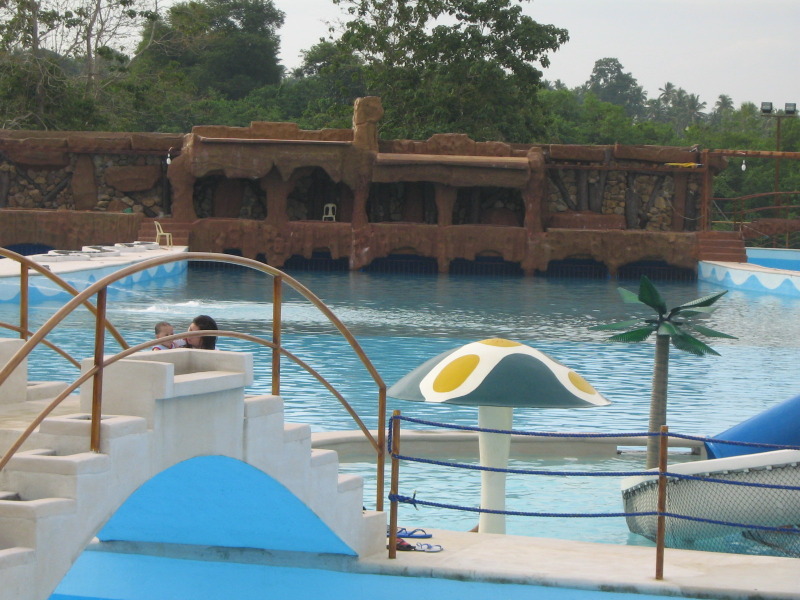 It is a about seven feet deep and can accommodate up to 300 persons. The Chapel is an ideal venue for weddings, baptisms, and other similar events. There are 40 of these elegantly designed Chalets complete with furnishings in the comfort of a home. 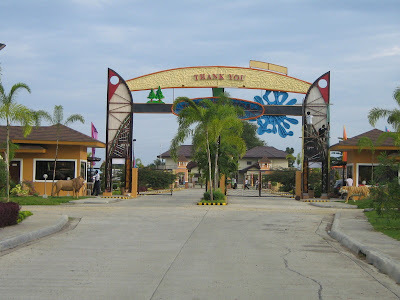 The Resort is one among the long list of premier tourist destinations in Davao City, providing each guest with fun-filled experience, amusement, and adventure in a theme park environment not only to the residents of the city but also to nearby provinces. It is ideal for families and a perfect funland resort for kids, and for those who want to sneak away from the noise of the city and simply relax and smell the mountain fresh air of the countryside. 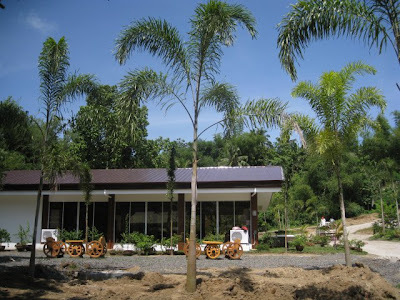 The Resort also features a cable car ride - the first in Mindanao, a 3-storey hotel, a club house, a fish pond, a fishing area, tennis courts, a 600 steps stairs, several buildings for commercial use, and a family picnic area with a stunning view of Mount Apo. The resort is open from 8 AM to 8 PM. 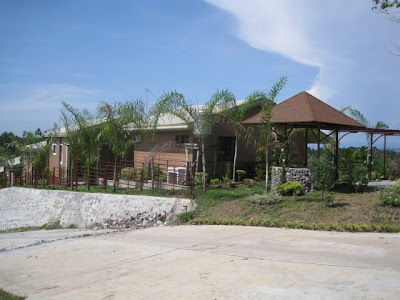 The Resort is located in Purok 5, Barangay Communal, Cabantian, a 15-minute ride from downtown Davao City and about a 10-minute ride from the Davao International Airport in Sasa. I have read a few good stuff here. Certainly worth bookmarking for revisiting. I wonder how much effort you put to create such a fantastic informative site. Hi Aisha, thank you for leaving a comment, and for finding my blog informative and worthy of bookmarking it. Blogging is not as easy as some people may think since it requires a lot of time and effort to produce an article. But blogging is all fun. I love Davao City and everything about it and blogging is my own little way of inviting people to take a second look at Davao City which I have embraced as my second hometown. Please drop-in again for fresh posts and updates. I've been looking all over for some info about this resort and I found your blog. Thanks for this post. 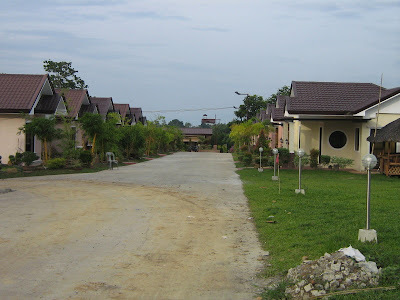 Anyway, do you know if they happen to have closed cottages/rooms for overnight stay? Ooops, I got my answer. I missed to read it LOL. Thanks Sarah, I'm glad that you found what you were looking for. Please drop-in again for fresh post and updates. masarap ang food sa restaurant nila ? i am really just interested in the restaurant and the zoo ? kamusta naman ang lasa ng food ? 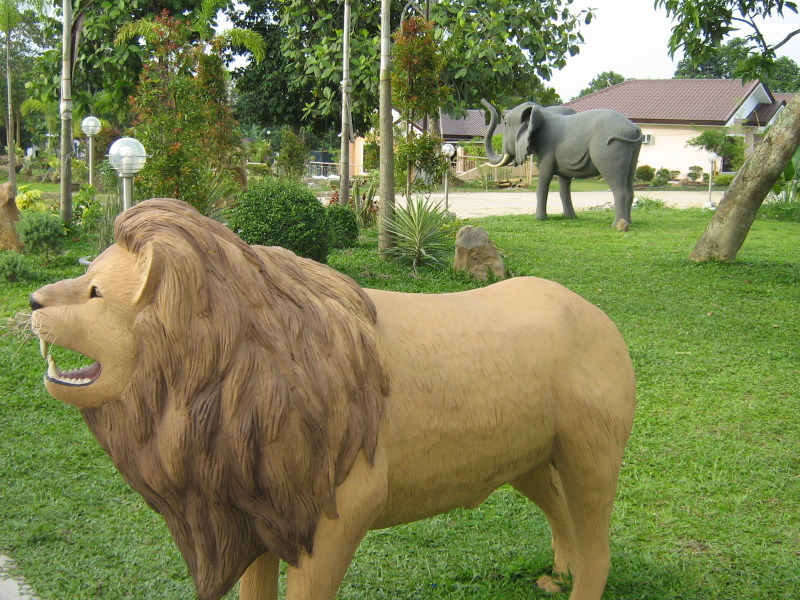 at kamusta naman ang zoo nila ? would you know if they have an official webpage ? thank you very much. i love your blog. i just found it and has been back-reading your posts. I was there Dec 29-Dec 30, 2012. If u want to know about the restraunt?! My suggestion to you is stay away from it & bring your own if you can?! Had lunch, dinner & breakfast there. Bad service, slow, a lot of things not available, food is cold after waiting forever to get your food. To sum it up without going into my long list of bad experiences there! One quick one is for breakfast they ask us if we want plain or garlic rice, we say garlic, they come back a few minutes later saying its not available. Really?! Didn't think it took a lot to make over plain rice?! We ordered a Mango shake, never received & ended up cancelling it. The rides & everything was good but just the restraunt left a bad taste in my mouth on that experience. Hopefully that helps you & anyone that wants to know?! Good luck if you do go & try it because maybe you'll have better luck than we did?! 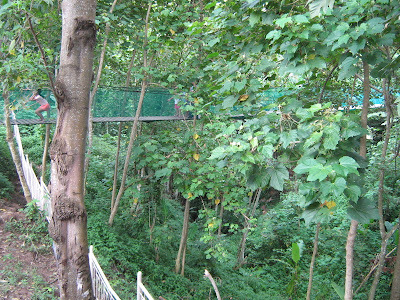 Our family went there just this June 20. Food was not that bad. They probably were still adjusting in the kitchen when you visited. Hi Southern Scribbler! 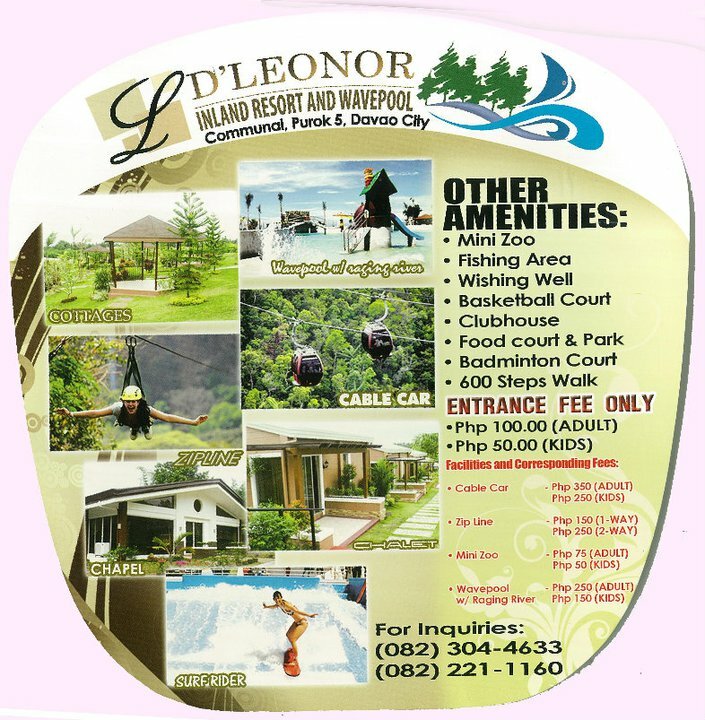 D' Leonor Hotel Inland Resort is relatively new considering it was only opened to the public last May 14 of this year. While much of the facilities had already been constructed and opened to the public, the Resort is targeting to finish the remaining facilities by the end of the year and is set to go full blast within the next two to three years. Currently, the mini zoo houses three ostriches, and, from what I gather, there are plans to bring-in more animals like tiger, lion, bear, and deer. The food is quite okay for my taste and the staff are attentive. I hope you will drop-in again for fresh posts and updates. Thank you for your comments. 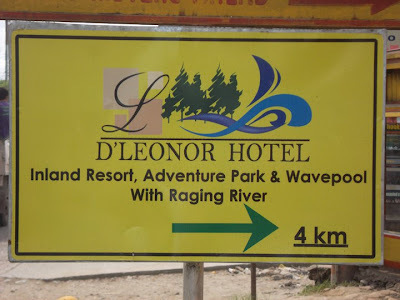 By the way, Southern Scribbler, I am not certain if D' Leonor Hotel Inland Resort has an official website at this time, but I am sure there will be one in the future. hi imtrying to see the rates,where can i find it? Hi Sittie Aisah, thanks for your comment. 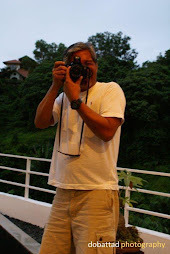 Honestly, my description of Davao and the Dabawenyos in the pages of this blog pales in comparison to what Davao and the Dabawenyos actually are. I cannot help but be emotional each time I think and write about Davao particularly the countless unforgettable episodes of my long stay in the city. It might interest you to know that I met in Davao City my wife who is also a Muslim. Hello. Where can I get the overnight rates of the resort? Or better yet all the rates including the use of facilities and all other stuff that needs to be paid :) . THANK YOU! so nice. :)) planning to go dr! yeah! 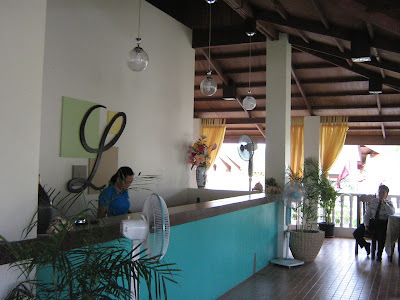 I would like to know the rates of teh resort, especially the chalets. 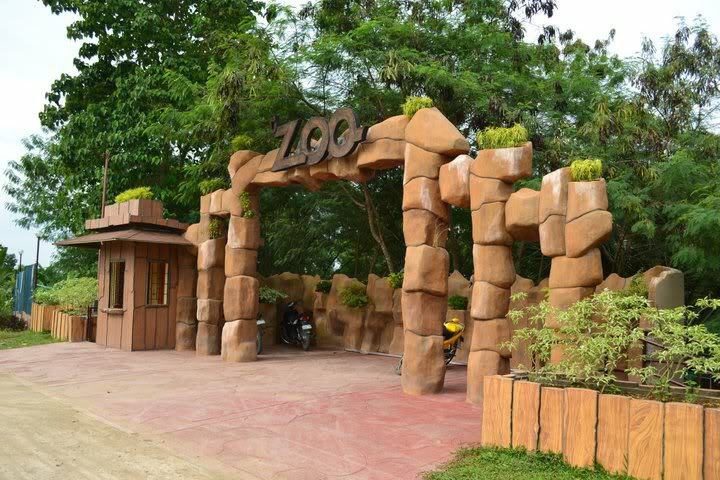 How much is the entrance fee for a day tour? 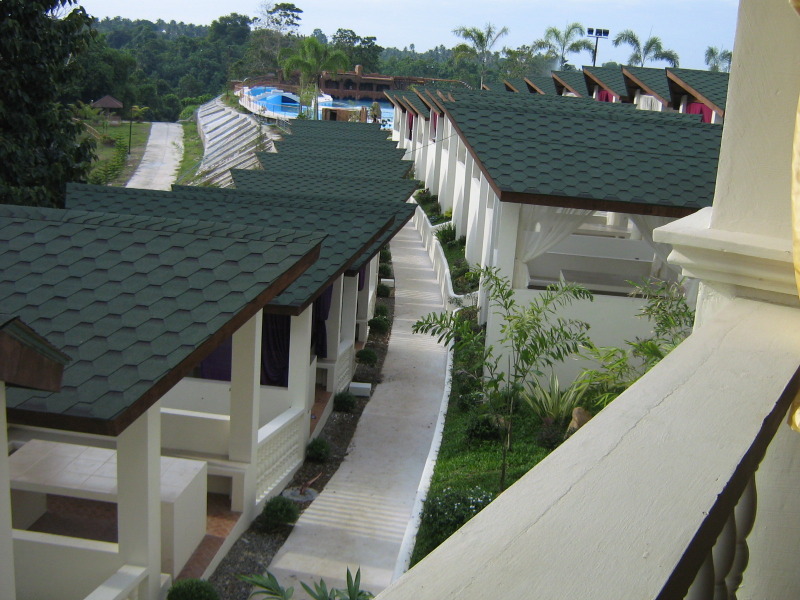 nice view....im so excited to visit the resort!!!!!!!! 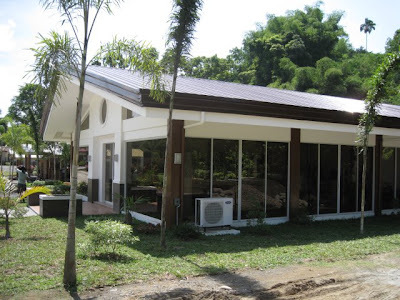 @6-heads, it will cost you P2,500 wala pay kaon, ligo lang. Cost seems not worth it. It seems like this place is only for the tourist. Not designed for locals because if you have dollars, this rate is cheap. Hey I like the parking lot it has!!! Can you believe that there are still hotels that do not have one and cars have to stay out all night?? I´m going to Argentina and the hotel in buenos aires has a huge space for cars. You can´t leave your car in the street in a country you do not know much! can i ask if they have rooms/cottages for big groups? like 30+pax? do they have packages? 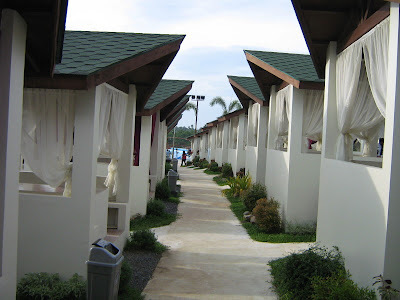 I'm sure the resort offers packages for its guests but the cottages are, as far as I know, can only accommodate a small group of 4 to 6 persons. are pets allowed in the resort ? we would like to know if we can bring our pets there ? I am not so certain if management allows pets within the resort, but perhaps you may want to drop them a line at these Numbers 304-4633 and 302-2922 or you can reach them via their Mobile 0922-8464314. Thank you for visiting my site. Hope you will drop-in again for fresh post and updates. 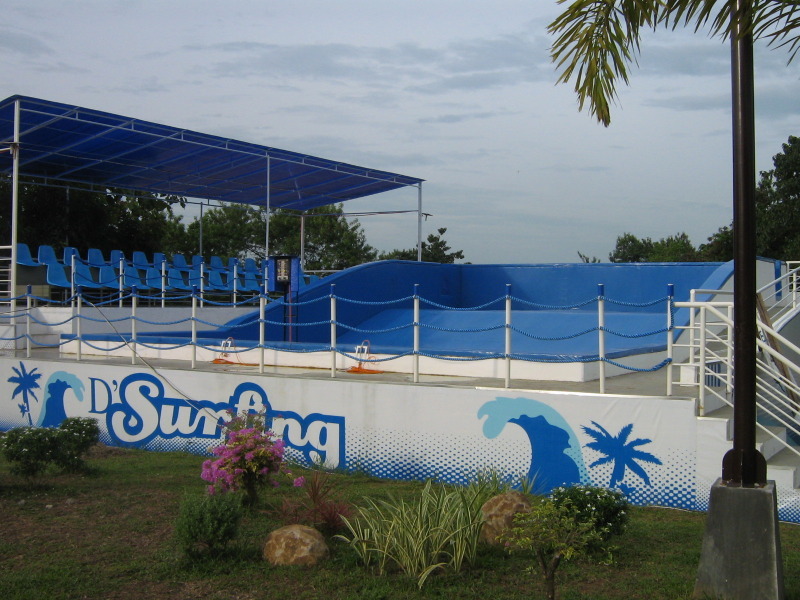 May requirement sa outfit sa pool? As far a I know there is no particular requirement in swimwear. hi magkano ba nag prize sa mga cottages nila? at pwde ba magovernite doon?may extra charges ba? 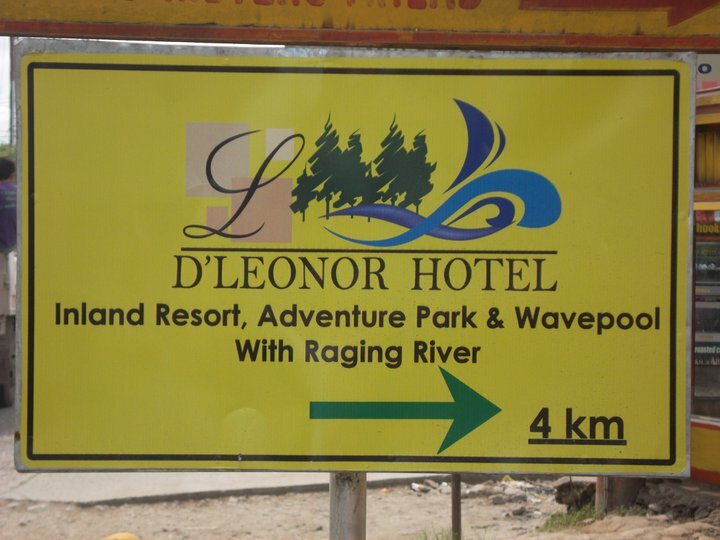 Hi anonymous, D' Leonor Hotel Inland Resort does allow overnight stay and provide comfortable accommodations to its guests. However, as to the room rates, I usually do not include them in my posts since prices do change from time to time. 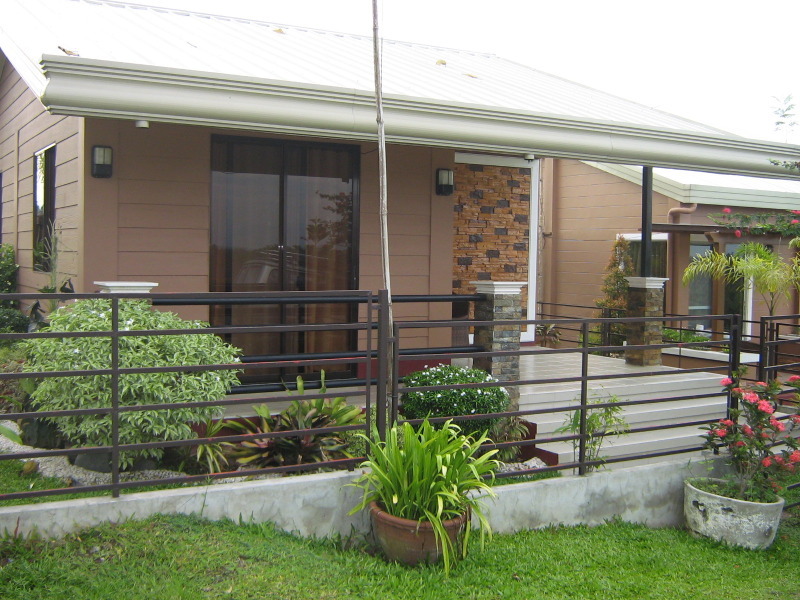 For inquiries, you may call Telephone Numbers 304-4633 and 302-2922, or thru their Mobile 0922-8464314. 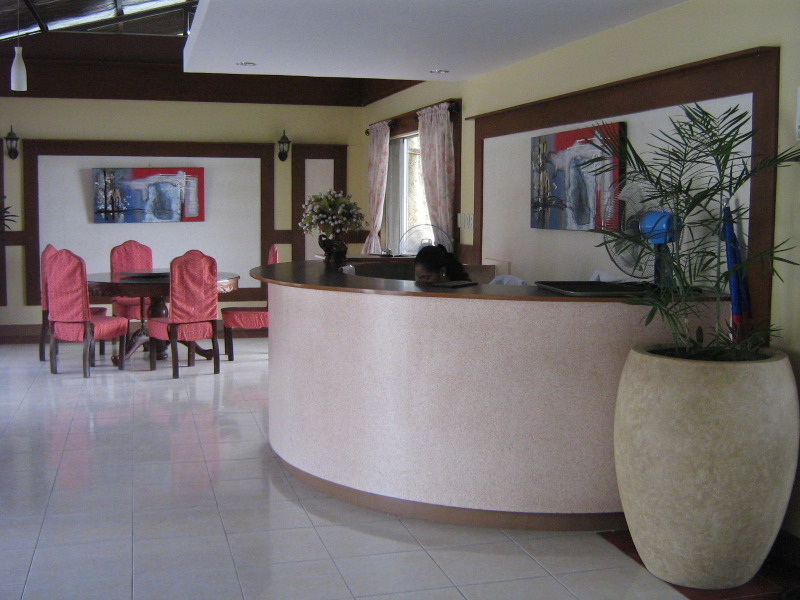 Good luck to your visit to the resort and hope you will find the place suitable to your requirements. how much po ba ung overnyt rates nila per person? Hi Anonymous, I usually do not include the overnight rates in my posts since prices do change from time to time. 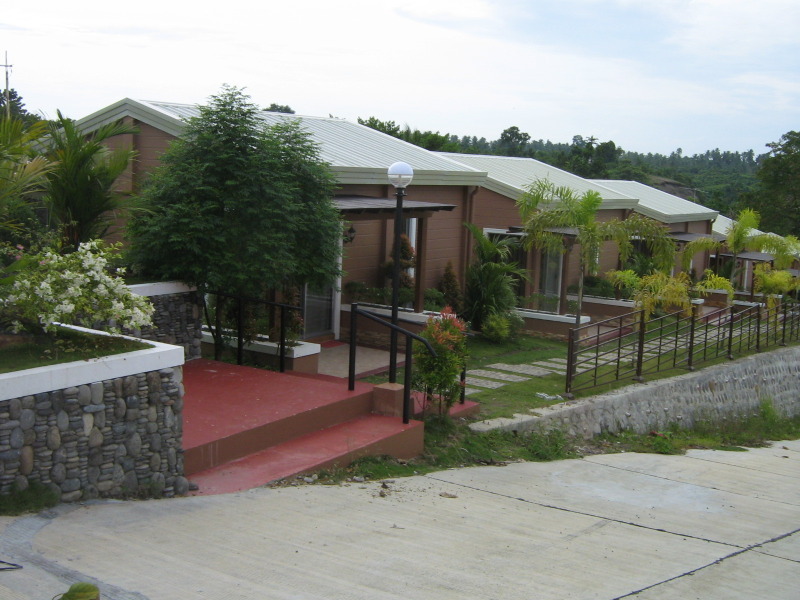 However, you may call D' Leonor Hotel Inland Resort Telephone Numbers 304-4633 and 302-2922, or thru their Mobile 0922-8464314. I am just wondering because it seemed like you have been to this resort with a pleasant experience, how do you think about the very NEGATIVE reviews of many customers who have been there? 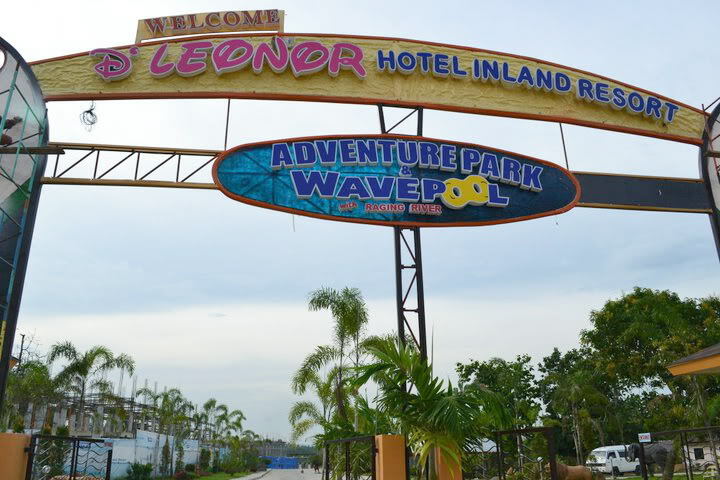 Do u think spending 350PhP per head is not worthy to be able to use the wavepool thinking that there is a WAVEPOOL resort in Matina for less than 100 PhP per head? 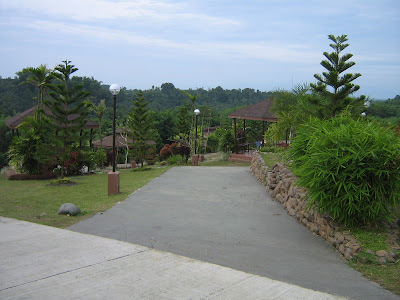 My views will always be biased in favor of Davao City and its uniquely wonderful warm Dabawenyos however I go anywhere in the city, be it at EMARS or at D Eleonor, the experience will always be pleasant. My long stay in the city, and my regular visit thereto will always be remembered with much fondness. Your question, however, calls to mind two lawyer friends of mine who, at one time, were engaged in a friendly argument having totally different views on a single point of law and none was found better than the other. 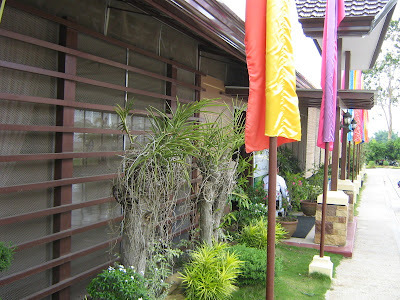 Thank you for dropping by and finding the blog informative. hai naku... mga pulubi!!! 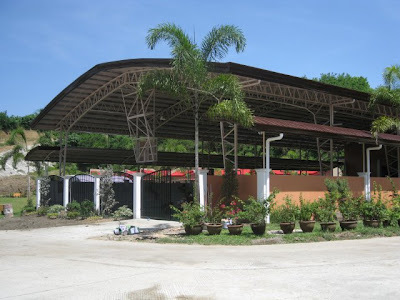 wag na nga kayong mag reklamo.. ipopost nyu rin naman sa facebook na nakarating kayu sa D'leonor- kasi proud kayu.. palibasa kasi pang TIMES BEACH AND COACO lang ang beauty nu. 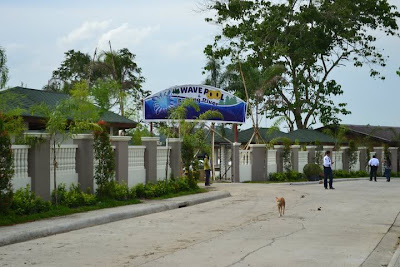 na kung saan habang buhay ang wavesss... habang sa mamatay ka nalang..
be proud guys na may ganito sa davao- as i heard first and only ito. 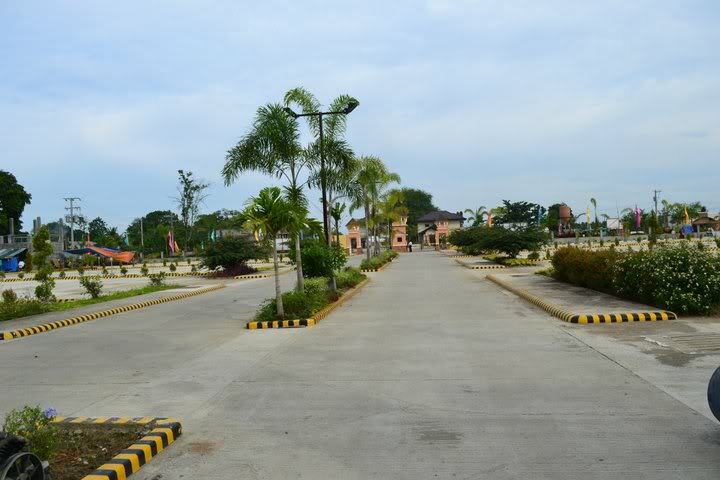 "THE FUTURE DISNEYLAND" NG DAVAO! 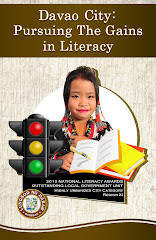 wag na magsira-an.. anu ba.. and be educated!. sa mga reklamador at di makaafford? wag na kayung pumunta. O KAYA- humingi nlng kyu ng discount- friendly namn ang mga staffs doon. kasi try na namin. first, please refrain from saying MORONS.. tsk3x, may IGNORANT pa..remember, all of us have been ignorants not once, but many times in our lives, like, the first time we used a sensor-type faucet/toilet bowl..
second, the resort is really pricey.. not bec they cant afford it, but objectively, it is. third, keep your negative tongue behind. Question for the site admin. Sir, Someone posted about the outfit for the pool, although you have answered that there's no particular swimwear requirement. Does this include to both sexes? Male and Female? 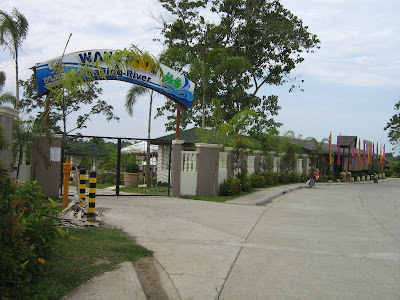 Nice post by the way..
Hi Guy Living in Davao, the Resort does not require any particular swimwear for both male and female. Propriety will, of course, dictate proper outfit for swimming. i want to go there... does the room costs per head? or just rent the room even there are 6 people or 10? by the way how much does it costs to rent 1 room 2,500? any one want to go there on july 18 and 19? by the way does it costs 2,500 to rent a room? 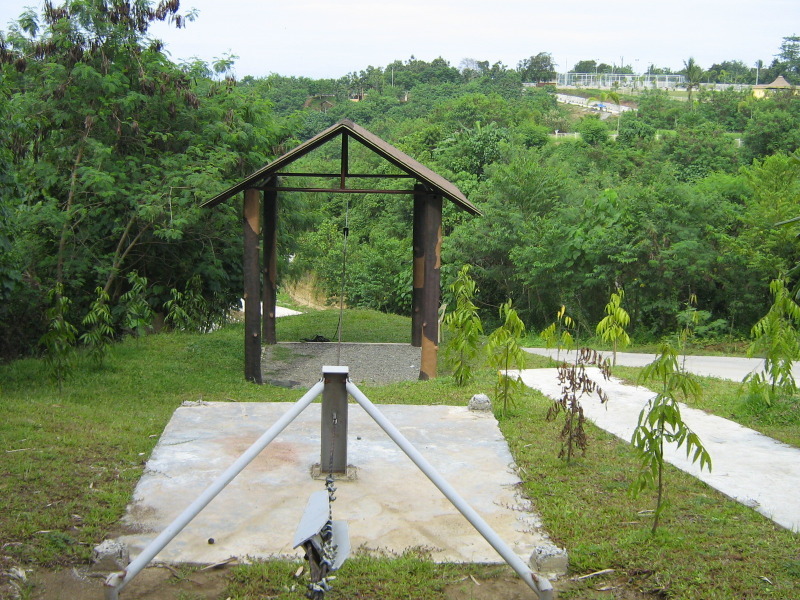 Hi..I would also like to add that cable car is also available na sa D'Leonor.. 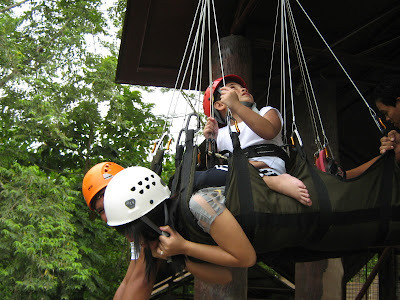 I want to try again their wall climbing.. hehe..hindi pa ako nakakabawi.. good thing you posted a blog about d'leonor inland, marami na kc nagsesearch bout nyan..
hi there, do u have any idea regarding wedding packages? at-least for 100 guest? thanks..
Hi Jefrey, I am almost certain that they have wedding packages and for such number of guests. 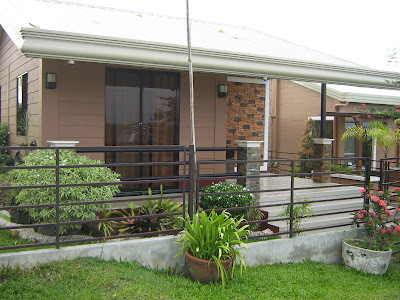 You may inquire directly at these numbers: (082) 304-4633 or (082) 302-2922,and Mobile 0922-8464314. Thank you, Mykah Quimque for the info. The contact numbers are now updated. sir wala pong rply s mga txts ko po sa 2 cel #.activated po b mga cel # po.inquire lang po sana ako regarding po s overnite fee po at room rates po.we're from kidapawan city po kasi. Sadly, the Resort does not have its own website yet. 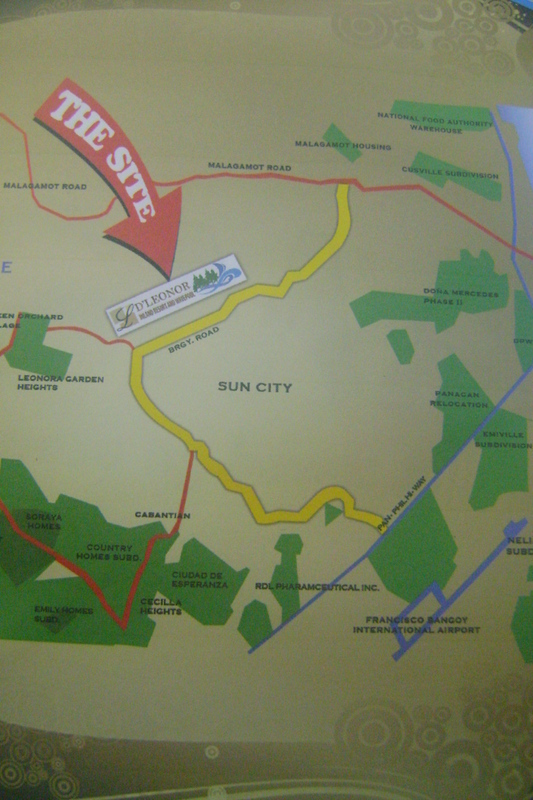 Perhaps it is best to call the Resort directly at their landline numbers (082) 302 6158 and (082) 302 7011. Good luck. To get the latest room rates, you may call the Resort directly at their landline numbers (082) 302 6158 and (082) 302 7011. Good luck. I am glad that I discovered your wonderful post regarding D’ Leonor Hotel Inland Resort wishing someday I could visit this someday. Thanks for sharing this and I do appreciate with your post. I'm Mark. 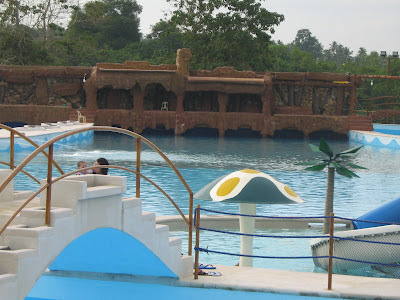 I am planning to visit the resort with my girlfriend. 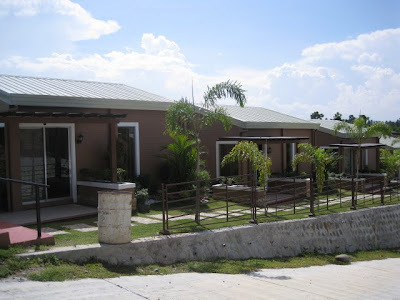 The problem is that, I've read some bad comments regarding the facilities and the expenses. Is it really that expensive? Been to this place yesterday and it exceeded my expectations! Ang ganda! I don’t know kung promo lang, pero 2 kami tapos 100 lang ang entrance for 2. Free tour na yan sa mini-bus nila. Maganda ang place, marami nang pwedeng gawin! Super sulit! 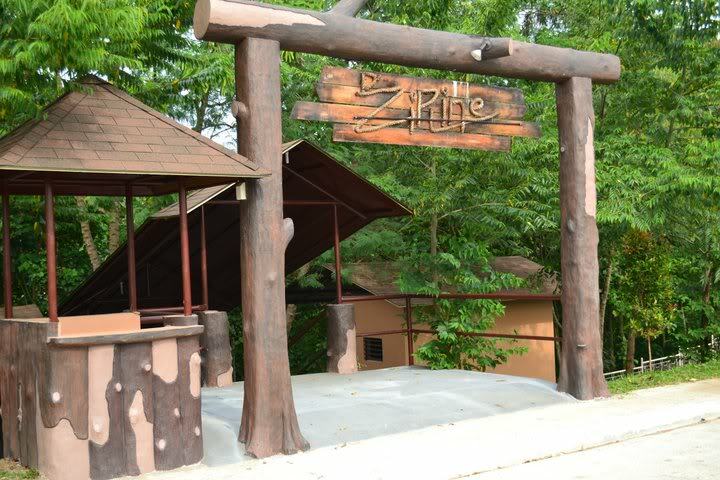 If you want to avail of amenities like zipline, wall climbing, zoo, etc. syempre may bayad na yan. This ain't a public park, people. Thanks for sharing this. Seems really a place the one must visit. This is just the perfect getaway, like scenes lifted from a romantic location. 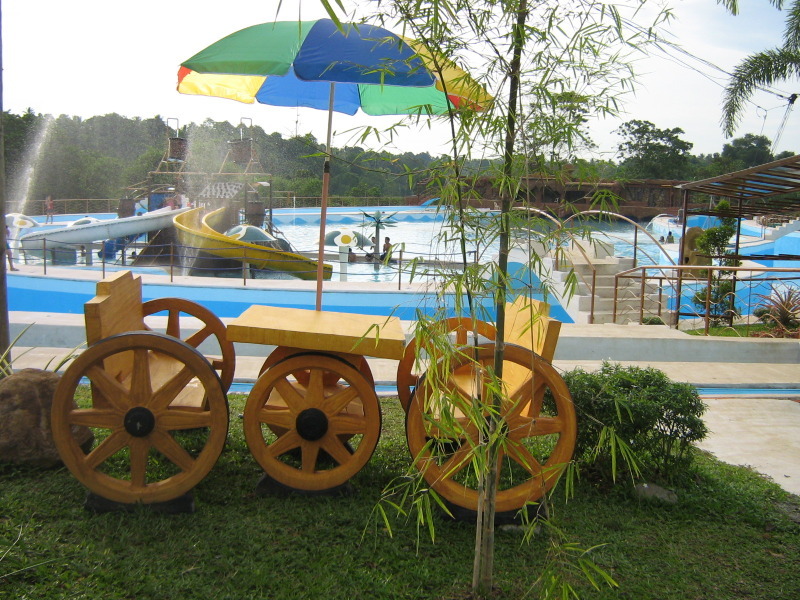 gud pm.D'Leonor Inland Resort is nice and interesting place for tourists especially children. Nice structure and facilities . But needs more focus in management.. 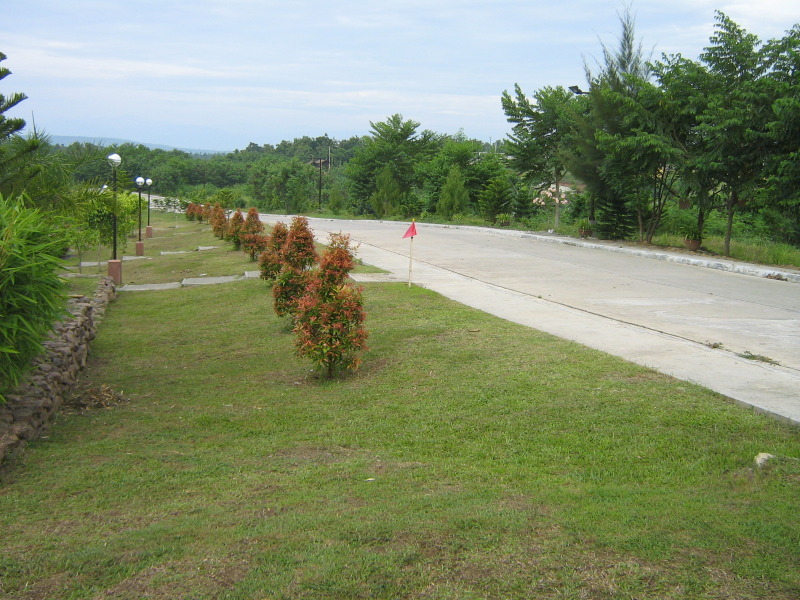 This is a very nice and lovable place. So relaxing! I like it! Have FUN in Davao City!!! D'Leonor Resort,nakaka proud ang ganda! Dabawenyos be proud! Thanks for the blog, planning to go there soon. more power! Hi! Meron po ba silang package offers? This place is soooo beauriful! were having a field trip at jan kami sa d leonor, so excited !! this coming feb. cant wait to go there..